It was an honor to attend the 2016 NARI Spring Business Meeting in Austin, TX this past week. As President of the NARI Central Indiana chapter I was looking forward to learning new ways to help grow our great group of members and also hear from industry experts on the latest trends and developments in the industry. As one can imagine work force development was a hot topic all week. The labor shortage we see nationwide is staggering. Contractors regardless of their field of expertise are desperately looking for employees who know the trade or simply energetic people who are willing to learn on the job! Whether it was a general contractor in the Midwest Indianapolis or a Design-Build operation in Texas all were discussing ways to handle the problem. Some chapters currently have programs in place to work through this problem such as working with the Department of Labor while others were taking a more “grass roots” approach and striving to get the trades back in high schools. As we all know college isn’t for every high school graduate and NARI and its members want these young individuals to know they have great options available to them in the remodeling industry. More excited information on several of these initiatives will be available in the coming months! As a first time attendee, the only one representing the dumpster rental industry I was excited for the CoTY (Contractor of the Year) Awards ceremony on Friday night. This event, which was streamed live on the web for those that couldn’t attend in person showed the fine craftsmanship of NARI members from coast to coast in addition to some members from Canada. Whether it was in the bathroom remodel category or a full house remodel a large contingency of awards were handed out over the hour and fifteen minute gala. To view the complete list of award winners, click here. Congrats to all the regional and national winners, you should be proud of your craftsmanship! What was a pleasant surprise was to meet so many knowledgeable people from around the country willing to share information with each other. Any questions from a newbie like me were answered in great detail. The information exchanged through out the meetings in round table discussions, panel forums and after hours dinners are truly what make conferences like this so wonderful and informative. As we all know large events like this cant take place with out the help and support of great sponsors. Companies like Home Depot with their wonderful Home Depot Pro Rebate Program and Fiat Chrysler Automobiles with their Business Link rebate program were showcased prominently through out the meetings. In addition businesses like Qualified Remodeler Magazine, Guild Quality, Sen Design Group, CEDIA, MarketSharp, Panasonic, Rebuilding Together and PennTek all chipped in to add insight on how their particular business can help chapters and their membership. One can’t visit Austin and not enjoy the night life and live music! A special thanks to the NARIAustin chapter for hosting a first class networking reception on Thursday night in historic downtown Austin. In addition to a wonderful spread of food and drinks all attendees were mesmerized by the entertaining and comical Spazmatics band. This networking event was another excellent opportunity to speak and mingle with other chapter executives and their wonderful members! Special thanks to all the NARI members who made this Spring Business Meeting a huge success. If you’re a NARI member and have never attended one of these meetings I would highly recommend it! If your thinking of joining NARI at the local level I invite you to reach out to your closest chapter and get involved. I know I cant wait til next year! 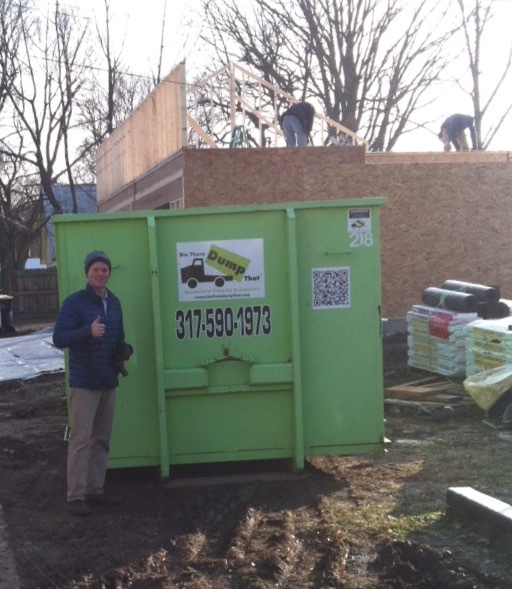 Do you have an upcoming remodeling project in mind in the Indianapolis area? Have you thought about choosing a contractor to complete the job? We know this can be a very daunting task so we thought we would help you out! Below you will find eight helpful tips when searching for an Indianapolis area contractor. This list will give you some things to keep in mind when choosing the right contractor for your remodeling project! In a perfect world there would be no budget but we all know we have to stay within a certain price range for the remodeling project. Be sure to mention this up front so you and your contractor are on the same page. 2. Does the contractor have references? Always ask for references from a contractor of their past projects. Not only should they provide pictures and descriptions of past jobs but also phone numbers to contact previous clients to discuss their level of satisfaction. Going over the references is key and should be diligently done before making a final decision. 3. What are their payment requirements? This will vary from contractor to contractor and also vary on the overall scope of the project. If you have lots of custom items being made one can expect to put money down up front for these unique pieces. It is also fair to pay for some of the materials and labor to get the project started. Never pay a contractor in full up front. It is important however to clearly define payment dates and job expectations through out the process. 4. Do you have a tight schedule? Having a tight schedule or an absolute deadline to have your project done may be an issue. Being flexible will certainly allow more possibilities when choosing a contractor. Often times you will find the more popular a contractor is the harder it is to get on his or her calendar. Again discuss all this up front to avoid any confusion in the end. 5. Are they licensed and insured? Not only is it the law but for your protection it is vital to work with a licensed and insured contractor. One of the first questions to ask is for the contractor to provide you this information up front. If you are looking for a professional contractor in Indianapolis take a look at the following trade associations for their members. 6. Do they service your area? In a bigger city like Indianapolis this may be more of an issue then a smaller suburb but it’s an important question to ask up front. Does the contractor service your particular area? As work becomes more plentiful some contractors may stay closer to “home” and not venture too far from their base. Always give the address of the property you want remodeled up front to avoid any confusion. 7. Will my house be habitable during the remodeling? Depending on the scope of the project this can be a valid question. Does your house have one bathroom and will that be renovated? If your remodeling your kitchen that may not be usable for a certain period of time. Homeowners often times overlook these issues and do not plan ahead for such inconveniences. 8. What will the contractors work hours be? This is more of an issue with stay at home parents or parents with young children. If the contractor will be working during the day this may interrupt the nap schedule of your children. If you work or go to school during the day this wont be an issue at all. Will the contractor plan on working any weekends or after hours? Again get all this information up front to avoid any surprises down the road. Below we will list some of the top contractors in the greater Indianapolis area. We invite you to check out their websites and completed projects they have done. If you like what you see give them a call about your next remodeling project!